Whether you are a loyal citizen of the Republic or a rebel spy, do not miss the Midwest’s largest fan-run, Star Wars only section of Cincinnati Comic Expo. Brought to you by fan club’s such as Ohio 501st, Mandalorian Mercs, Rebel Legion, and Ohio Star Wars Collector Club, even the most die-hard Star Wars fan will be impressed with the extensive collection of life size props and displays waiting for you. 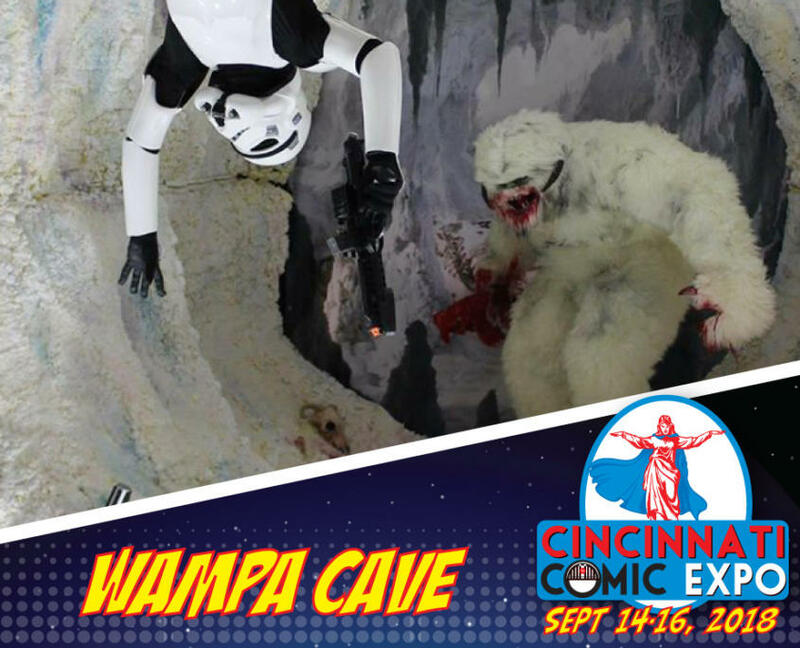 Take photos with the different exhibits like the replica Detention Block AA-23, climb aboard a 74-Z speeder bike, or try your hand at flying an X-Wing through Cincinnati Comic Expo’s exclusive Death Star Trench Run! If that doesn’t get you excited wait till you see over 100 Star Wars cosplayers expected to attend. Any attendee to the expo won’t want to miss this amazing spectacle in celebration of the legendary legacy of Star Wars. In the words of Master Yoda, “Do, or do not. There is no try”.